Remember Glenda Sims, the “Good Witch”, from our Accessible IT show? 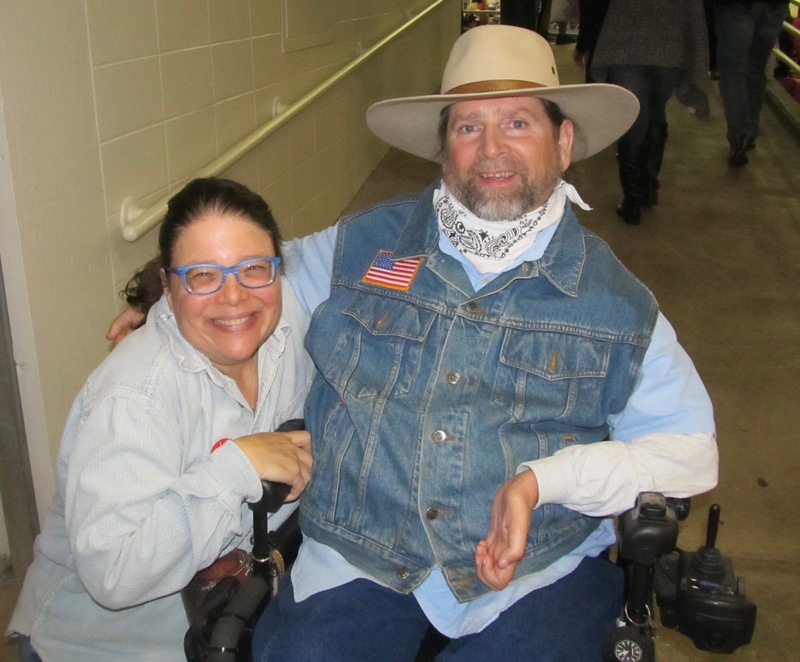 Well, I ran into her at the Austin Pow-wow last Saturday. Glenda has been very active in accessible web design. She was working the University of Texas at Austin, doing web work. Then she started her own company called Deque, where she continues providing accessible web design. Well, Glenda will be one of the judges at the upcoming OpenAir competition. That’s the competition that Knowbility set up. OpenAIR – Knowbility’s annual accessibility web development contest launched on October 1, 2015. AIR stands for Accessible Internet Rally. Increased participation from global teams is the hallmark of this year’s competition with teams joining in from Australia, Canada, Columbia, India, the UK and coast to coast USA. Several years ago, The Gene and Dave show was paired with Trademark Media, here in Austin for the competition. Trademark Media did such a great job on our site, they won first place in the competition. This year AIR is doing my personal webpage in the contest. They’re building a fully accessible personal webpage for me. Yes I’m embarrassed it wasn’t fully accessible before now. If you’d like to see winners of this competition, come to the Shoal Crossing Event Center, 8611 North Mopac Expressway here in Austin, on Thursday, December 17, 2015 from 6:00 PM to 9:00 PM.